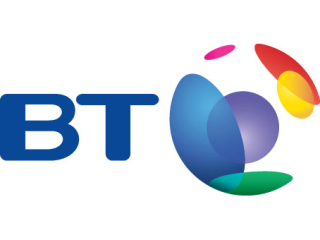 BT has announced that it signed up its five millionth broadband customer on 9 December, the first ISP to pass that landmark. The total number of broadband users in the UK now exceeds 14 million, a swift increase from the 135,000 who used it just seven years ago. "Broadband has the ability to transform people's lives and the fact that we are still showing strong take-up when there are more than 14m ADSL broadband customers in the UK is testament to the unique benefits of being connected. "The UK's intensely competitive market for broadband has meant that UK customers have enjoyed superb innovation and low prices." BT has just announced plans to have high-speed fibre connections in 10m homes in time for the 2012 Olympics. The five millionth customer for BT broadband was Elizabeth Patterson, a chip shop worker from East Kilbride, Glasgow. To acknowledge the milestone, BT is giving her an all-expenses paid trip to the Winter Olympics in Vancouver, Canada. Patterson said about the accolade: "I am really excited to have won this prize, as I have never been to Canada before. I decided to sign up for broadband so that I could shop online for Christmas presents and so that my son Jamie, who is 11, can use the internet to help with his homework." There's no word on whether this special status will give her faster access to a live person on BT's helpline, however.